Our company is fast emerging as the leading manufacturer and exporter of Binoculer. These Binoculer are performing excellent performance with high efficiency and manufactured by our experienced team using superior quality of materials. In addition to this, these have very attractive designs, different sizes and nice patterns. 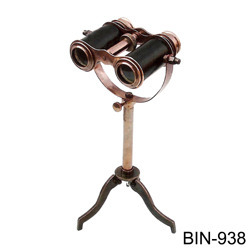 Last but not the least, these Binoculer are available at reasonable prices to our dear customers.